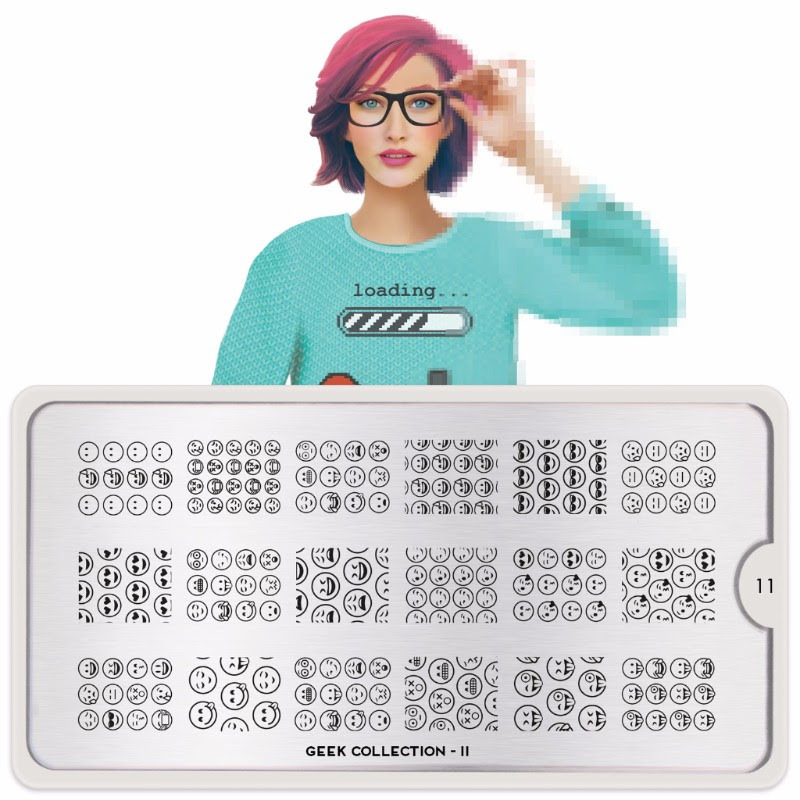 Lacquer Lockdown: Hot Off The Stamping Press: MoYou London Geek Collection Expansion + Stamping Mat! 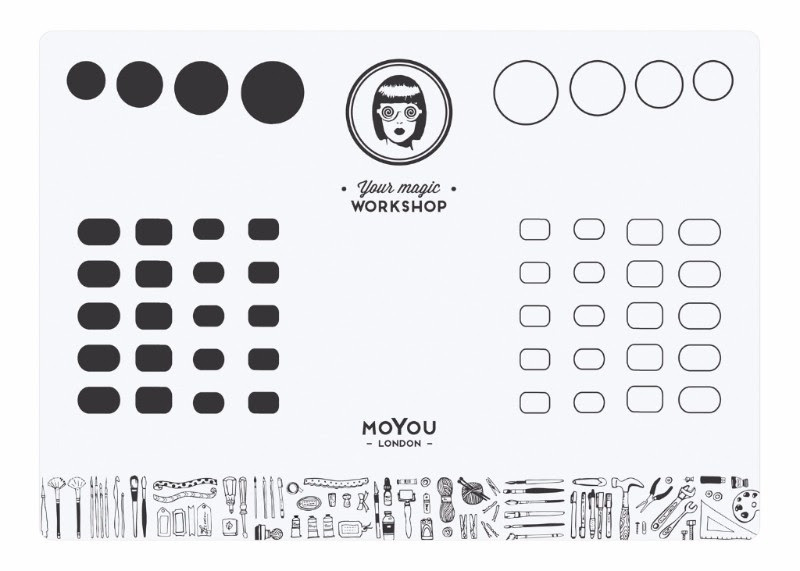 Hot Off The Stamping Press: MoYou London Geek Collection Expansion + Stamping Mat! Just a quickie post to share the latest and greatest release from MoYou London. These plates actually released last week, but I wanted to make sure I got this out since I really adore the newest accessory MYL released along with this expansion! 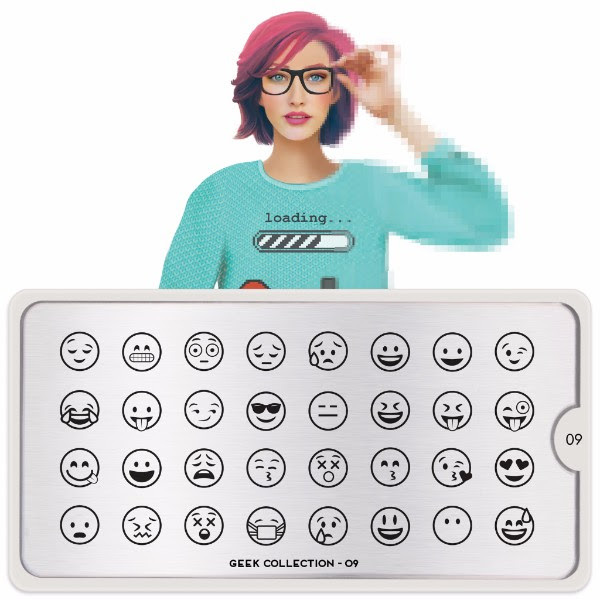 Get your emoji on ;) Lol I spend a lot of time sending these little things to other people via text and using them gratuitously in my instagram posts! So trust me when I say I recognize all of them as I think most of us too. The heart eyes one gets a heavy workout from me. As far as plates go these are cute. Kinda heart to see myself rushing off to get these though. Again I find this plate so cute and adorable given the mixture of emojis. I think these are super cute, but I don't feel like if I didn't get these right away my world would end. YKWIM? Definitely adorable and wishlistable though! The mini version of the above. Mini for those of you ladies that have shorter nails than my own. Has anyone noticed I had that colossal break right after Valentine's Day and my nails are already back to what I think of as my preferred length? I've done nothing but the regular stuff, but boy my nails grow so quickly! That's why its always better for me to go for the XL plates. I spoke about this mat on Friday or Thursday? I can't remember but yay the Your Magic Workshop stamping mat has been released! I find this mat adorable. It's midrange in terms of price and the same "standard" size as most other plates. This mat retails for 9 GBP or roughly $13 USD and some change. So like I said midrange. This one features oval and square nail shape decals and falls into the decal mat category. I read somewhere that someone hated the "clutter" of the illustrations at the bottom. I find them cute, but then again I recognize them from the Artist's Collection plates ;) I've already added this one to my stamping mat comparison chart so for those who want to compare you can go directly there.